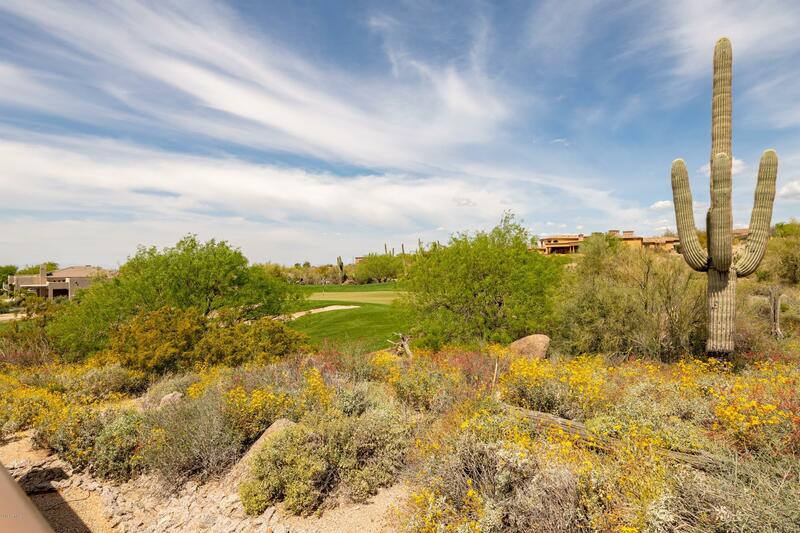 All Golf Villas At Troon Nort homes currently listed for sale in Scottsdale as of 04/25/2019 are shown below. You can change the search criteria at any time by pressing the 'Change Search' button below. "Luxury Golf Villa overlooking the 2nd Hole of the Monument Golf Course in Troon North. 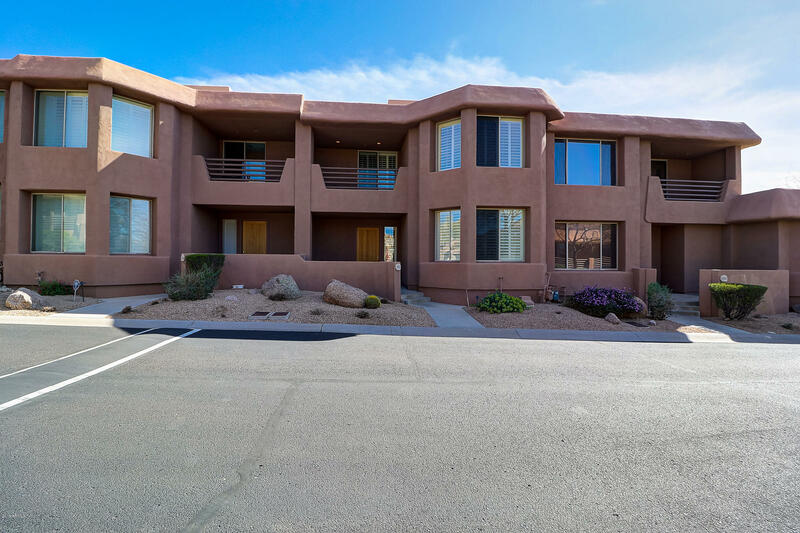 Enjoy Golf Course, Mountain & City Light Views! Beautifully Upgraded Fabulous End Unit w/Expansive wrap-around Patio to Enjoy Breathtaking Sunsets & Starry Nights! This single level Villa is an ideal Lock-n-Leave or year-round Home. Over $90k in renovations include: Kitchen & Baths w/Custom Cabinets, Slab Granite; custom Doors & polished Travertine Floors, and much more! Lightly lived in & available Turn-Key ("
"Welcome home to this outstanding Golf Villa overlooking the Monument Golf Course at Troon North. This home offers awe-inspiring views with its sunny southern exposure, gorgeous sunsets and nearby mountain and desert views with their ever changing Arizona colors. Features include 3 private patios, S/S Bosch appliances, gas range, soaring entertainment wall, underground parking & huge storage. Take your own private elevator upstairs to the split master and guest bedroom, each having their own bat"
"Gorgeous south facing golf course lot with Panoramic views south to Pinnacle Peak, mountains, city lights across the 1st hole of the Monument course at Troon North from the 500 sq ft deck start your experience. 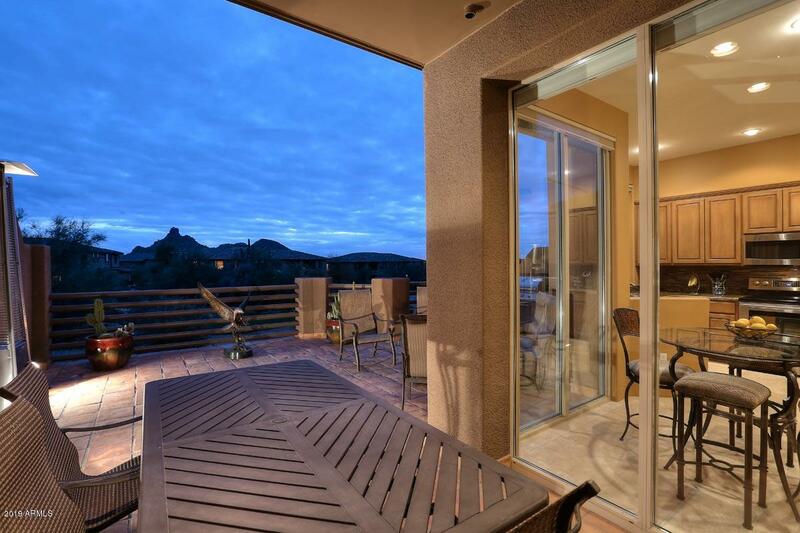 Stunning sunsets from the deck accent this 2600 plus sq ft elegant Townhome. Take the all level elevator upstairs to fin the master and second master, both with their own private bath and deck. Main level is classic, with 3 Rd bedroom(no closet...)can build one easily! Soaring art/entert"